The Detroit City Chess Club is making a difference in the lives of children in Southeast Michigan by engaging them in a game of chess. 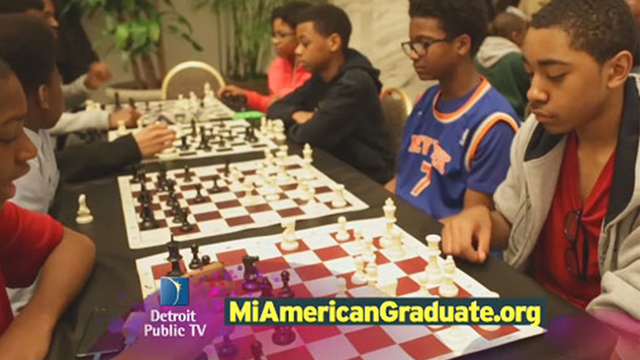 Watch our local Detroit City Chess Club as they show how chess can be educational and fun for children, while growing their self-esteem and young minds. Detroit City Chess Club Detroit City Chess Club trains youth in Chess and life skills. This program is made possible by a grant from American Documentary POV, with funding provided by the Corporation for Public Broadcasting.